In the past few years, "grit" has become a buzzword in child development and education circles. Grit in psychology is defined as "a positive, non-cognitive trait based on an individual's passion for a particular long-term goal or end state, coupled with a powerful motivation to achieve their respective objective." Since 2005, Angela Duckworth, Ph.D., a psychologist at the University of Pennsylvania, has been studying grit and behavior in students. She specifically looks at students who have shown long-term success in their academic and life trajectories. She found that grit, not intelligence or academic achievement, was the most reliable predictor of a positive outcome. The kids who won the spelling bee weren’t necessarily smarter than their peers; they just worked a whole lot harder at studying words. She found that grit matters more to a child’s ability to reach his full potential than intelligence, skill, or even grades. Unlike IQ, which is relatively fixed, grit is the type of skill everyone can develop. 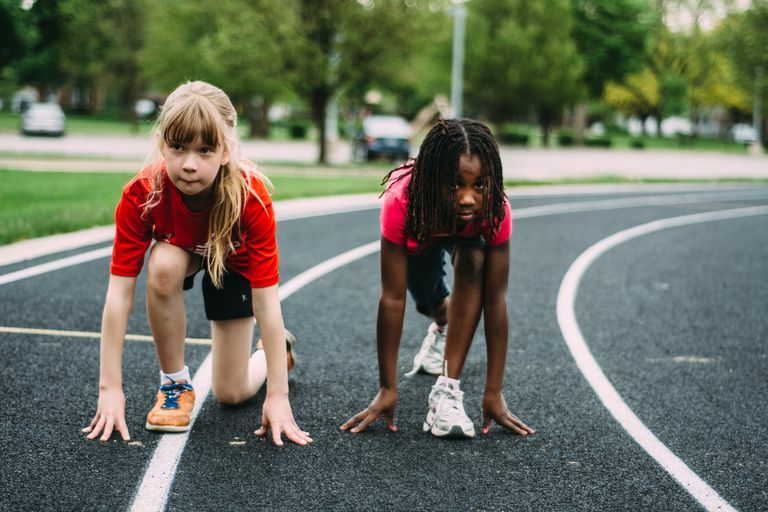 Some kids naturally have more grit than others, but there is plenty you can do to help your child develop their grit and perseverance to help him succeed. Paul Tough, author of "How Children Succeed," agreed that developing skills like "grit, perseverance, self-control, optimism, gratitude, social intelligence, zest, and curiosity” are more important than IQ. He discusses research that shows these traits can be boosted in children if they have an attachment to their parents and are shielded from stress early in their lives. So, what can you do to help your child develop more grit? Most young children do not have a "passion" but as children grow older, pursuing an interest that they have chosen themselves will help motivate them to engage in the hard work and perseverance needed for success. If a parent chooses the activity, there is less likelihood the child will feel as connected, and he or she may not want to work as hard to be successful. One of the characteristics of “gritty” people is that they are “especially motivated to seek happiness through focused engagement and a sense of meaning or purpose,” so letting a child find his or her own passion is necessary for the long term. Parents should encourage their children to try and continue activities that might be challenging or anxiety producing. Encouraging kids to try new things gives them a chance to prove that they can do anything. Many people believe that if we are good or not good at a skill, it is because we were born that way. The problem with this belief is that it leads many kids to give up on things easily if they do not succeed right away. Duckworth suggests you give your child the opportunity to pursue at least one difficult thing; an activity that requires discipline to practice. The actual activity does not matter as much as the effort and the learning experience that comes with it. Parents hate to see their kids struggle, but taking risks and struggling is an important way children learn. When your child is dealing with a skill, activity, or sport that is difficult for him to master, resist the urge to jump in and “save” him and do not allow him to quit at the first sign of discomfort. Pay attention to your levels of anxiety. Don't be afraid of your child's feelings of sadness or frustration; this is how they develop resilience. If your child never has the ability to succeed at something difficult, he may never develop the confidence in his ability to confront challenges. Don't let your kid quit because they are having a bad day. Allowing your child to give up the second things get frustrating teaches them that struggling isn't part of working hard and if they give up, they will never get to see what greatness could happen if they work hard. So, should you make your kids follow through on all activities, even the ones they whine and cry about? A compromise is to finish all activities until the end of the season or session. If your child chooses not to sign up again, allow that. What is important is that they pushed through the discomfort that is a natural part of the process of learning something new. Dweck has found that people with “growth mindsets” are more resilient and tend to push through struggle because they believe that hard work is part of the process and they do not believe that failure is a permanent condition. In a growth mindset, students understand that their talents and abilities can be developed through effort, good teaching, and persistence. The opposite of a growth mindset is a fixed mindset. Children with a fixed mindset believe they have a certain amount of brains and talent and nothing can change that. A growth mindset is shaped by adults through language and behavior that we model for kids. In order to encourage a growth mindset, be mindful of your own thinking and the messages you send to your children with your words and actions. Praising kids for being smart suggests that innate talent is the reason for success while focusing on the process helps them see how their effort leads to success. When parents talk positively about making mistakes, kids start to think of mistakes as a natural part of the learning process. If your child is struggling, one of the best things a parent can do is discourage her from quitting at a low point. Instead, use the experience as a way to teach resilience and an opportunity for success. Help her brainstorm strategies and make a plan of what actions she will take and how she will proceed, but allow her to take ownership of the solution. A great journey sometimes has some unappealing emotions, such as being confused, frustrated or completely bored out of your mind. When children understand that learning is not supposed to be easy all the time and that having a tough time with a skill does not mean they are stupid, this is where resiliency and perseverance develop. Talk with your children regularly about your own failures, and how you persevered or ways you could have been more resilient. Children learn from the adults around them, so if you want your children to handle setbacks with grace and model calm and determination, you need to model this yourself. Talking to your kids about your own failures will help them understand that it is okay to fail and they will see how people can problem solve and bounce back. Talk about setbacks as they arise. Help your child build alternative plans and think of different ways to view situations. Show them that being flexible and knowing how to problem solve is a useful and mature quality. The goal of a task is not perfection, and if you intervene constantly, your child will realize that you do not have confidence in their abilities. Engage in family discussions about trying new things and let each family member talk about things that are difficult for them. Discuss long-term and short-term goals and how you achieve both. Allow family members to openly share their struggles and how they got past them. Share feelings about challenges and celebrate when family members attempt to persevere through difficult tasks. The best way for kids to learn to be "grittier" is from watching their parents. You can tell kids a lot of things you want them to do and how you want them to act, but the real lesson is in how you act. Show kids that you take on tasks that are sometimes scary, and that you sometimes struggle or fail and then bounce back. Model resilience for your children and show them that failing is nothing to be afraid of. Manage your own anxiety and stop controlling your child's actions; instead coach them by doing activities with them, not for them. Continuously encourage your child and teach self-encouragement. Your parental voice eventually becomes the voice in their head so engage in lots of positive talks. Criticism will only discourage your child from wanting to try again. Giving your child a chance to fail and bounce back is one of the greatest gifts you can give as a parent. Allow your kids to struggle and feel discomfort. Allow them to go through the emotions of disappointment and confusion, and help them figure out the next steps to make the situation better and more productive. It is within this learning process that they will develop perseverance, resiliency, and true grit, which will lead them in the direction of success for their future.